Seems like the upcoming Formula E series will be much more interesting than we thought. Calling it the “Attack Mode” that will be fitted to the competing race cars, the feature seems to be as insane as it sounds. We can think if the new mode as a combination of a Joker Lap and a push-to-pass system. The Joker Lap provides the driver with an alternate route that must be taken on a particular circuit, while the push-to-pass system involves a dedicated button on the steering wheel of the car that will unlock additional power. 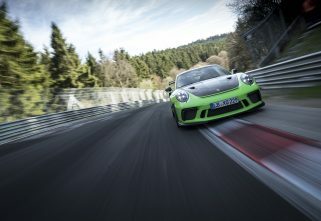 The Attack Mode, as we know, gives the driver a staggering push of close to 300bhp. In order to use the Attack Mode, the driver has to be off the racing line. The mode is also coupled with three timing regulators to keep a check on the number of times it has been used. Apart from that, spectators can also witness the off lines and Attack Mode areas with the help of virtual reality! The activation zones will be tied to field graphics so fans know when it’s appropriate for a driver to potentially activate the power burst. Reports suggest that the number of Attack Mode activations and their length will only be revealed hours before a race in order to prevent racers from simulating the fastest way to use attack mode at FE’s different locations. Formula E has also increased the number of racers that have access to fan boost during each race from three to five. However, the change is yet to be approved by the FIA World Motor Sports Council. A fan boost allows certain racers that have been voted by the fans, a momentary advantage of extra boost for short durations. One of the things that make these modes even interesting is the gamble with efficiency. One must compromise the charge efficiency of their cars while using these tricks. Additionally, the new season will usher in coloured LED halo safety devices. The halos will illuminate magenta when Fan Boost is activated and bright blue when a driver initiates Attack Mode. 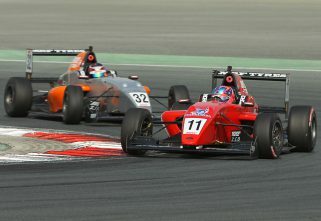 A Splendid Full-Race Weekend At Dubai Autodrome!